Ranchi, one of 100 cities under the Smart Cities Mission, is not new to online shopping. Flipkart customers here seek more than just deals and discounts. What will it take to win their hearts, to turn their flirtation with online shopping into an evergreen romance? 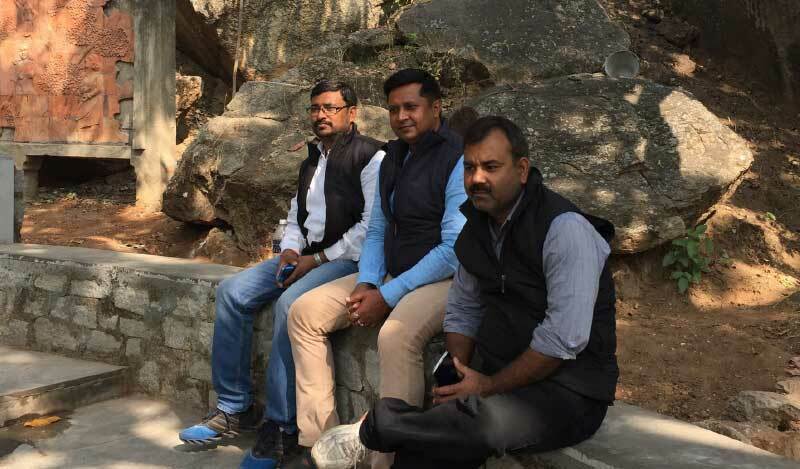 It is about 9 AM on a Monday at the picturesque Rock Garden in Ranchi. 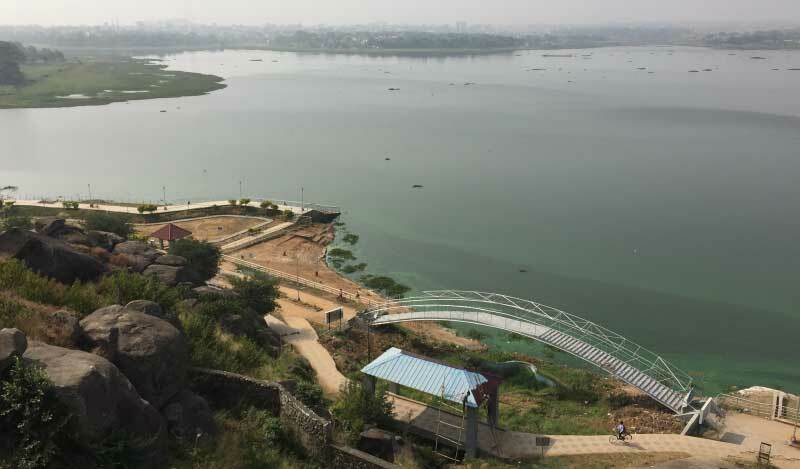 In the midst of a veritable life-size ikebana arrangement of neatly manicured flower beds, well-watered lawns, hanging bridges and fountains, is a concrete-paved viewing platform that offers a commanding panorama of the Kanke Dam reservoir. Apart from us, the other visitors to the park on this morning are school and college students. Hanging about in twos and threes, they appear to have found a more pleasant way to spend the day than be immersed in the tedium of education. None of them, however, are in the mood to talk to us. My colleague Pushpendu Kumar and I are in Ranchi on assignment for Flipkart Stories. Our goal is to meet Flipkart customers and understand their attitudes to online shopping and document their shopping and delivery experiences, on both sides of the satisfaction gauge. We have data, but for the most part we are flying blind. And we know for certain that here in the Rock Garden, a city hangout rated highly on TripAdvisor, we are likely to run into some of the savviest online shoppers in Ranchi. But when we finally do, we city-slickers are more than slightly shocked. Here is a crowd of young students in a Tier-2 Indian city, romancing in the park in Bollywood fashion, on a weekday, in their school uniforms, and making duck-faces as they pose for selfies. The questions that trouble us, however, have nothing to do with the morality or propriety of it. Did these young people lean on their parents for pocket money? What did they save it up for? Did they use the shiny smartphones they flaunted to shop online? What did they buy? How did they pay? Did they use cash on delivery? Every young adult we approached for the answers took evasive action at the very sight of us. Perhaps each one thought we were private investigators their parents had hired to expose their clandestine dalliances! Note to self: No perks for being in the right place at the wrong time. 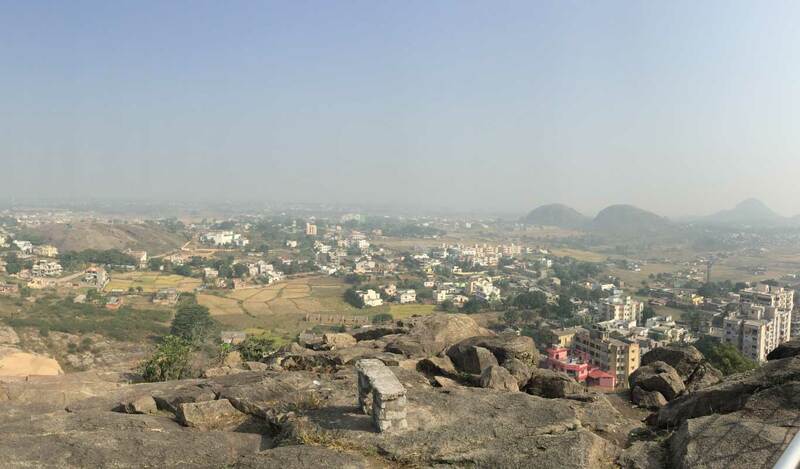 Ranchi, one of a hundred Indian cities selected to be developed under Prime Minister Narendra Modi’s Smart Cities Mission, has grown rapidly from a tree-shaded cantonment known for shy tribal folk since it became the capital of the state of Jharkhand, which was formed in 2000. 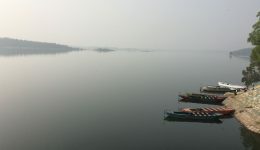 Part of it is still a sleepy small town (British administrators classified Ranchi as a hill station owing to its elevation — 650 meters above sea level) but there is another facet — one of a bold new city hungry to join the mainstream and lay claim to its share of opportunities. The signs of upward mobility are there to see — long, impatient waits at traffic signals, a flurry of glitzy new constructions in glass and steel, and legions of people in new cars brandishing the latest electronic gadgets. 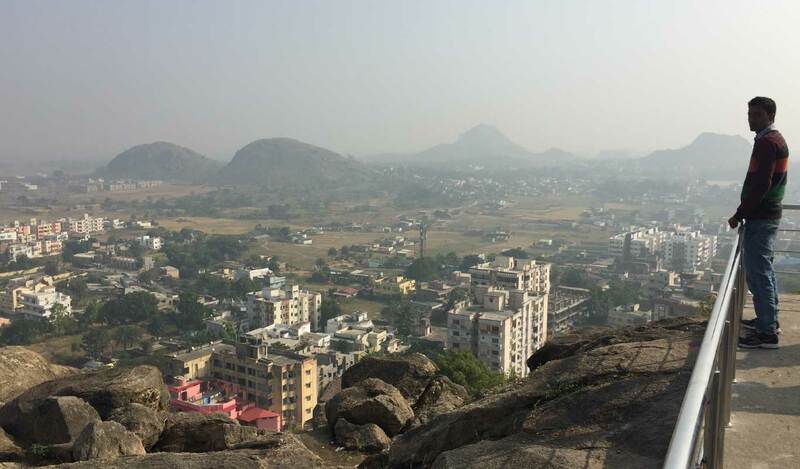 From the boulder-strewn summit of Tagore Hill, one can take in the city-scape of Ranchi against the backdrop of rocky hillocks. 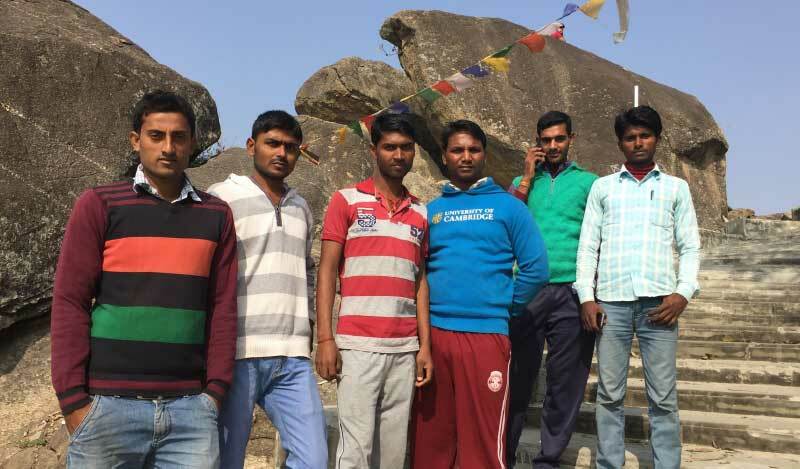 A band of six young men are taking group selfies on the rocky summit. The protagonist is a tall, strapping youth with a shy smile. Sumeet Kumar, in faded blue jeans and a bright pullover, hails from Bettiah, a small town bordering Nepal 500 km away in northern Bihar that also claims fame as the hometown of film personalities Manoj Bajpayee and Prakash Jha. The tourist attraction has few other visitors, except for three men in their forties who are watching construction labourers at work in the gardens at the base of the hillock. Although their relaxed demeanor is suggestive of park regulars shooting the breeze, Narendra Singh, Rakesh Ranjan and Brajesh Kumar Singh are in fact on duty. They are public and civil works contractors for the Jharkhand tourism department entrusted with beautifying the park. Narendra Singh, who cradles a gleaming Android smartphone in his hands, peeks at it occasionally in between shouting instructions to the labourers. 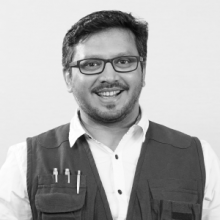 A frequent online shopper, he is familiar with the Flipkart mobile shopping app and does most of his online shopping during downtime at work. In October 2015, he made a few purchases during the Flipkart Big Billion Days sale. 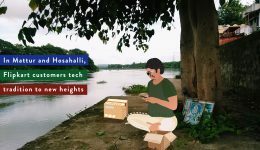 Although work brings him regularly to Ranchi, he hails from Daltonganj, a town in northwestern Jharkhand about four hours from the state headquarters. 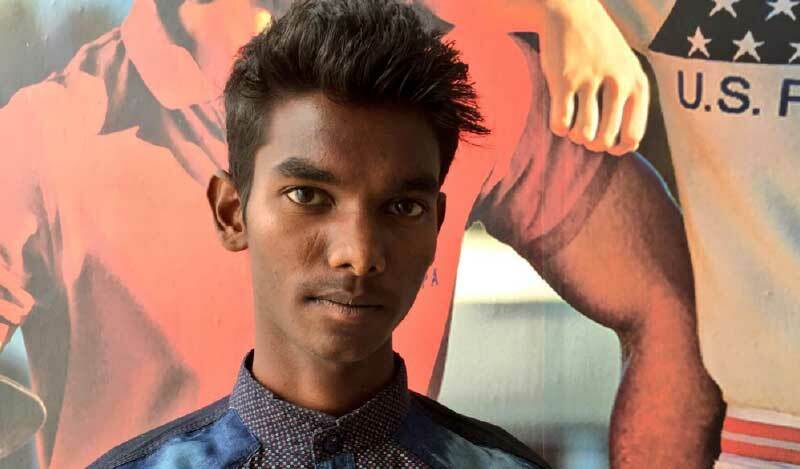 “Why isn’t CoD available on all items and in all towns?” asks Narendra, saying that he found it less convenient to make online payments from his bank account for goods delivered in his hometown. We explain that the Flipkart-pioneered cash-on-delivery payment option is highly popular with customers, although in some remote areas with high crime rates and erratic law enforcement it is known to present a last-mile hurdle. His bespectacled companion Brajesh Kumar Singh has been shopping for over two years on Flipkart. “I have never faced any problems,” the Ranchi resident says with a smile, adding that most of his purchases have been mobile accessories. Rakesh has apparently burned his fingers shopping online and minces no words as he breaks into a profanity-studded rant about the ills of online shopping. Our cringing only fuels his ardor. 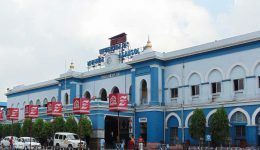 The heart of Ranchi’s shopping precinct, pulsating with noise from traffic and chattering crowds, is dominated by two large buildings prominent enough to be landmarks. The GEL Church Complex is one of the city’s older shopping centers. 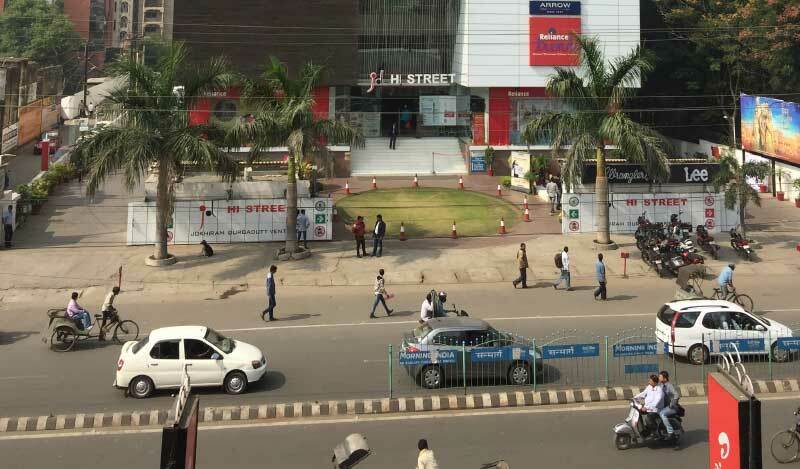 Right across the street is its new-age challenger — the JD HI Street Mall, which has a multiplex, branded apparel stores and coffee shops. Nearby is the Gossner Evangelical Lutheran Church, housed in an impressive brick-red heritage building that dates back to 1919. The church lends its name to the GEL Church Complex. The dark, narrow corridors of the shopping center are bustling hives of commerce and humanity. 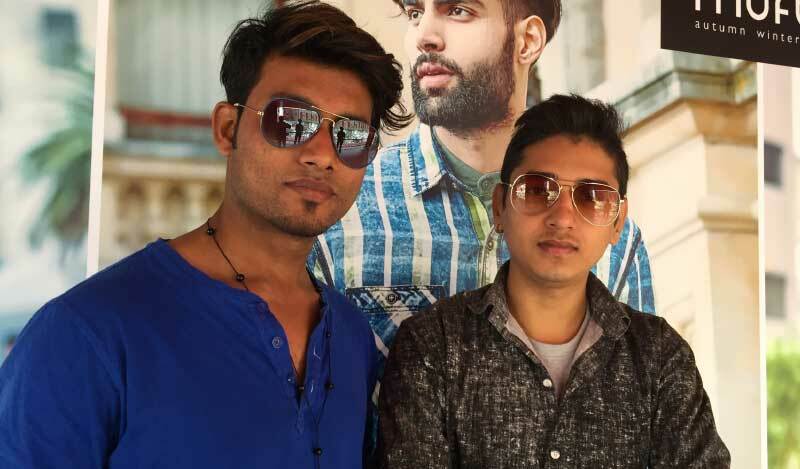 With their stylish haircuts, fashionable clothes and sunglasses, Akash Kumar and Chandan Mishra stand out in the crowd of shoppers and passers-by at GEL Church Complex. “I bought this t-shirt on Flipkart,” says Akash with a toss of his streaked forelock. 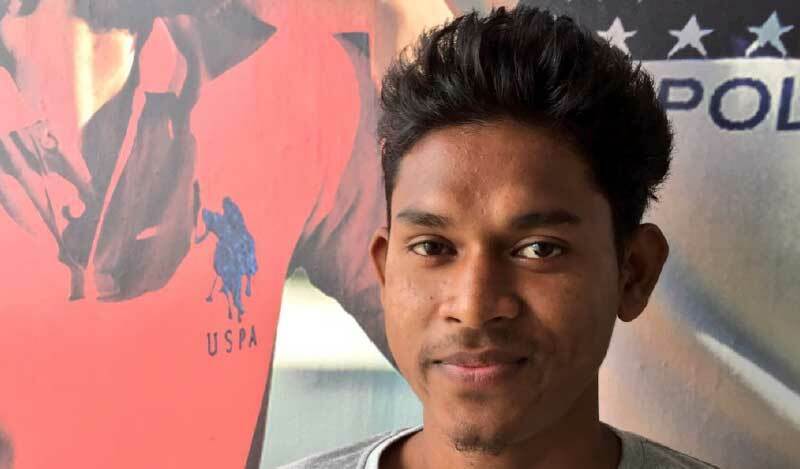 An up-and-coming actor in Jharkhand, he has also appeared in a few Bengali films. Industry-watchers have frequently pointed the finger at deep discounting by online shopping sites as their biggest trump card for competitive success. 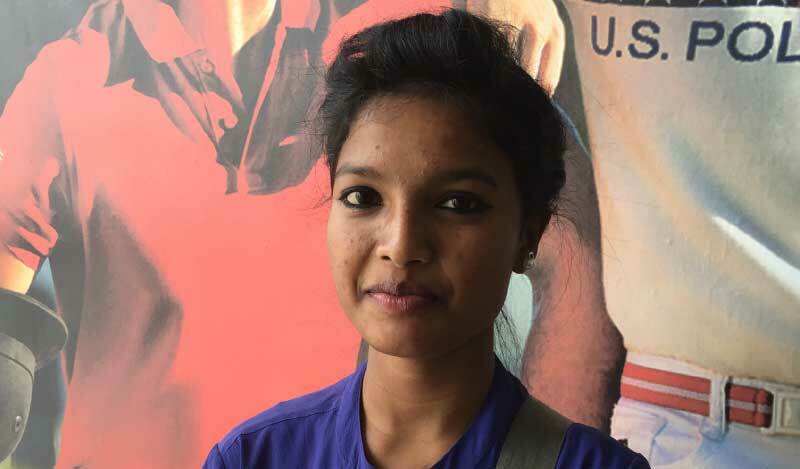 However, among the young adults we interviewed in Ranchi — including thrifty students and those with new jobs — few called out discounts and deals as their primary reason for preferring online shopping over offline retail. In October 2015, Rajeev Kumar bought a pair of shoes at a 50 per cent discount during the Flipkart Big Billion Days sale. He also bought clothes for members of his family. Rajeev has only one grouse against the Flipkart app: He wants the search feature to return more comprehensive results. “Recently, I searched for laptops and didn’t find exactly what I wanted. I finally found my chosen laptop in an offline store although it may have cost me more,” he says. Across the road at JD – HI Street Mall, two boys and a girl, who appear to be in their late teens, are checking out clothes on a mannequin in a shop window. Given our disastrous experience at the Rock Garden earlier, we approach them with caution, trying our best not to look like characters out of C.I.D. Raj Boipai, Vani Deepa and Rajveer Mundri are Class 12 students of St Paul’s High School in Ranchi. The three friends began shopping online a year ago and their experience has been encouraging. They have shopped for mobile phones and accessories, although they have never bought books. It’s a surprising bit of insight. Online shopping, being a more linear process, might perhaps offer a clutter-free experience to the decision-challenged shopper. But what about the texture and material of clothing, we ask — isn’t that a deciding factor? All three agree that cash on delivery is the most convenient payment method. “As students we don’t have easy access to online banking,” Rajveer reminds us with a smile. “Also, you need to be 18 years old to make payments online,” Raj chips in, alluding to the minimum age for operating an independent bank account. 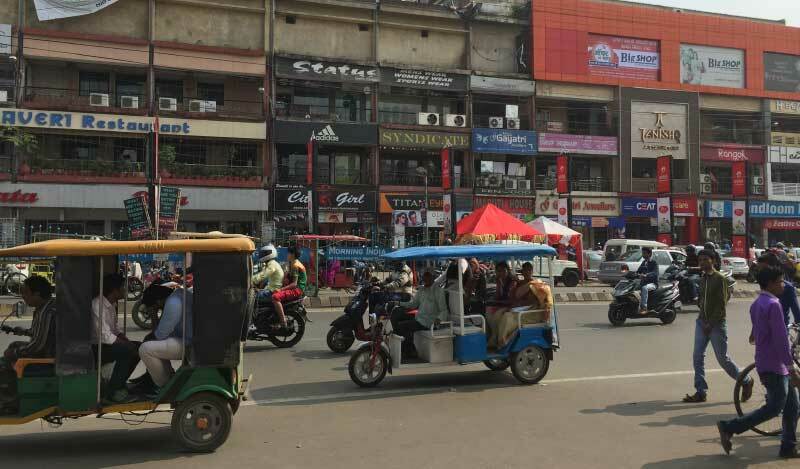 There’s a lot on the minds of Ranchi’s young online shoppers, and wishes aplenty in their hearts, but discounts and offers are not the end of it. At this juncture of their lives, they find online shopping attractive. They have a crush on it. They flirt with it, experiment with small commitments, and endure the small heartbreaks. Loyalty is an afterthought; it’s more the passion of the moment that fuels the flings. Eventually, though, they will develop stronger relationships and make more decisive choices. For life. To win the hearts of these discerning young customers in small-town India, for whom online shopping offers the window to a larger world, we must dream up the ingredients of an evergreen, everlasting, wish-fulfilling romance. That is the wisdom that we take home from Ranchi. Meanwhile, note to self: When taking a walk in the park, try not to be mistaken for a private detective.